Terri-Leigh brings 15 years of industry experience, having worked as Client Service Director at Volcano Advertising (Grey) and most recently as Group Consultant Director at Interbrand Sampson. “I thrive on creating value for clients, and using brand as the driver of that value. Strategically led design has a significant part to play in the journey toward growth. Strategy by Design and Design by Strategy are disciplines which help us determine where we are going, what to create and why we are doing it, both immediately and in the long term. 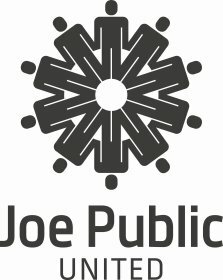 I am excited to be a part of a greatly admired brand, Shift Joe Public, and I look forward to challenging ourselves both strategically and creatively in our journey toward our client’s growth, and ours,” said Terri. Both from a business and a creative perspective, Simone and Terri are set on delivering the agency’s purpose of Growth by Design. “Growth by Design is the heartbeat of our agency. It’s a conscientious part of our thinking. When design is smart, innovative and delivers a solution, then it naturally creates growth. What’s so inspiring is that Terri and I are aligned on how to achieve Growth by Design in every area of our business. We believe great design is intentional and considered,” said Simone. Having been the recipient of an array of local and international awards, Simone will be joining other industry leaders in August to judge Communication Design at this year’s Loerie Awards. Shift Joe Public forms part of the Joe Public United 360 degree communications offering with a client portfolio ranging from Corporate to Retail and FMCG.